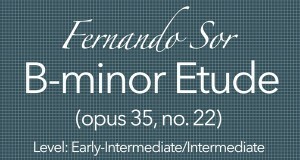 This course is at the EARLY INTERMEDIATE level. This means that most of the notes will be in the lower positions, with occasional notes moving into higher positions (usually just on the 1st string). The rhythms are mostly simple. Chords are mostly common, open-position. TABs are included for an alternative to music notation. For more advanced players, pieces in this level can be used as a study to improve learning, memorization and phrasing techniques. CGS Study Guides are like a series of lessons on a single piece, all condensed into a few videos. What may take weeks or months with a teacher are presented here for your own self-paced study. When you purchase a CGS Study Guide, you get lifetime access to all videos and materials. You also get full support and your questions get answered via on-page comment or email. Members of The Woodshed Program get full access to all courses and Study Guides for the life of their membership. Note: Videos stream only and are not available for download. How are Study Guides different from the CGS Full Courses? The CGS Full Courses go note by note, and are extremely detailed. Many of the full courses are upwards of 30 or more videos. This makes for a thorough and beneficial learning experience. But they do require a substantial time investment to complete. Study Notes, on the other hand, are condensed lessons. They assume you (the student/player) can figure out the basic notes and fingerings. So the suggestions are more often on how to improve upon what you can already do. Focus is on understanding the music, and bringing it to a high level of technical and musical mastery. To this end, potential problems are addressed, and opportunities highlighted. Study Guides are usually from 20-40 minutes of video. I want you to be completely happy with your new course. If you don’t feel it’s the best choice for you, email me within 30 days and request an immediate 100% refund. In the worst case, you’ll learn some new skills without spending a penny. In the best, you’ll have a fun new adventure exploring music and guitar. Either way, you have nothing to lose and much to gain! Thanks for your on-going support. I never expected such a personalized approach when I signed up. 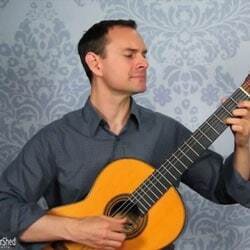 Hi Allen, I am a Dutch guy who plays classical guitar (solo and together with a flute player). Unfortunately I have been suffering from focal dystonia since begin 2016. Of course I tried physical therapy which didn't help… But I tried some of your [technique] lessons (I had teachers before but I was never taught your techniques) and to my big surprise the nasty feeling in the back of my right hand which pulls my index finger upward was gone! So now I practice your lessons. Anyway, I am very happy to have found you on the internet. Thanks very much! The Woodshed is a complete program to learn classical guitar. Access to every course on CGS. Access to a massive library of play-along skill-building videos. One-on-one feedback and support included. The Woodshed is $49/month, billed automatically. Cancel anytime, with no contracts. 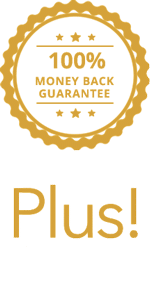 Full money-back guarantee, plus keep this course for free, just for trying it. Learn more here. After you’ve paid for the course, you can come back to this page and the modules below should be unlocked. You can view and access all your courses anytime on the My Courses page, found in the top menu bar of any page. I came on board three months ago and I’m loving it more than ever. I have maintained my practice pattern. I’m sticking wholeheartedly with the program as written. That makes it easy to see what I NEED to work on rather than just playing the shiny places I’ve gone beyond…..I’ve learned to focus 100% on what I’m doing that very minute….I’m developing strength in my left hand...I spend time with the videos in the evenings and always find something more to help me. I’m not looking for info anywhere else. Everything I need is right here in The Woodshed. You say “Jump” and I say “How high.” I’m so grateful I found you. You speak in a language I understand. What if I have questions about the course? If you would rather not leave the question as a comment, you can email me directly. I will promptly do my best to answer any questions you have. What if I buy this course and it’s too hard for me? If you get in over your head, that’s okay. You can return the course and get a refund, or you can keep it and come back to it later. If you feel overwhelmed, you can also email me for advice or input. 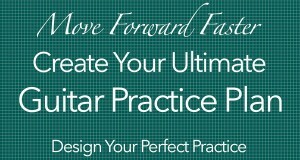 Also, if you feel like it may be too difficult, you may be able to simplify your practice. Focusing on one small aspect (such as the right hand alone) of one small section at a time is very helpful. If you are ready to purchase this course, you can click the purchase button above or below this text. After you complete the checkout, you will have access to the course. If you do not already have a username and password, one will be emailed to you. (Your username is usually your email address). You can login at the top of any page. Once you are logged in, you can find your courses in the “My Courses” tab at the top of any page. To begin the course, print your materials and progress through the lessons. If you ever have technical difficulties or something doesn’t seem to be working correctly, you can contact me and I’ll help as soon as I am able. Once you purchase the course, you have lifetime access. You can proceed at your own pace. You can start and stop as you wish, and know that it will always be here. If you mark lessons “complete” as you go, your progress will be saved and you can pick up where you left off. How can I tell if this piece is good for my level? Most pieces of music can be a wonderful experience for a wide range of players. If you’re a beginner, your challenge will be getting the notes and controlling your hands. If you’re a more advanced player, the notes may come more quickly, but you may need to work on playing more beautifully (phrasing, connecting the notes, balancing the voices, etc). There is always more to learn. As long as you take your time and focus on specific challenges one at a time, you can enjoy moving forward and learning a wide variety of music. Does this course include the sheet music? Most courses include sheet music. You can see above in the grey box with the sheet music excerpt whether or not this course does. If so, you get both standard musical notation and TAB PDFs to download, save, and print. You’ll also find the music separated into small sections for closer study, as well as any other helpful study-aids. If the music is not included, you’ll see a notice stating this above as well. Can I view this course on my phone or tablet? Yes, all courses and videos will work just fine on all common devices. Yes. There is no limit on time, and you can progress at whatever pace is most comfortable for you. If you need to take a break from the course (to travel, or to focus on other things), you can pick up where you left off. Move through the lessons as slowly or as quickly as you wish. Can I download the course videos or access offline? Currently, videos only stream and cannot be downloaded. You will need internet access to view the videos. Most courses include sheet music and TABs. You can see above in the grey box with the sheet music excerpt whether or not this course does. 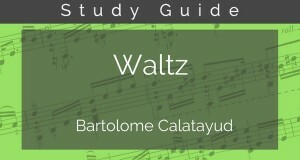 If so, you get both standard musical notation and TABs PDFs to download, save, and print. If the music is not included, you’ll see a notice stating this above as well. Allen Mathews was recommended to me as somebody who could help me expand my guitar vocabulary. Allen started me on a really fun cycle of lessons and practice. He is a very good and very enthusiastic teacher, and I feel that I'm on the road to learning. I couldn't be more pleased with my experience. Hi Allen, I am thoroughly enjoying your website and I find it is just what I need in my renewed passion for classical guitar. I have rediscovered a great love for this instrument and the music I can learn and play and it has changed my life for the better dramatically! Thank you facilitating this process.